Smart Homes feature automatic sun-shades or blinds as they are also known, which are a movable panels that can be raised or lowered, and also tilted to allow more or less of light into a room. The manual versions come with two sets of strings, one to raise or lower the complete blinds, and another to tilt the vanes. Automatic blinds feature the same assembly but with two different motors that are controlled by remotes or wall panel switches. The things is, these motors will not be aware of the end positions and will continue to turn if the wall switches are operated, and subsequently draw more current which reduces the life of these motors and possibly damage the blind rotor mechanism. With reed sensors mounted near the rotating shaft mechanism of these motors, and multi-pole magnets on the rotating shafts, a microprocessor can sense the number of rotations that the motor has turned and turn off supply to the motors exactly before the end positions. 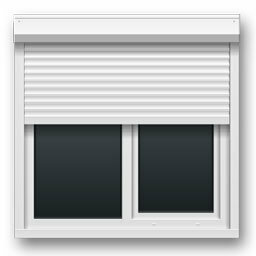 This feature can be used to control the raising and lowering of blinds, as well as the titling mechanisms. And with smarter software controls, preset levels of blinds and tilt settings can easily be saved and set and required times of the day.